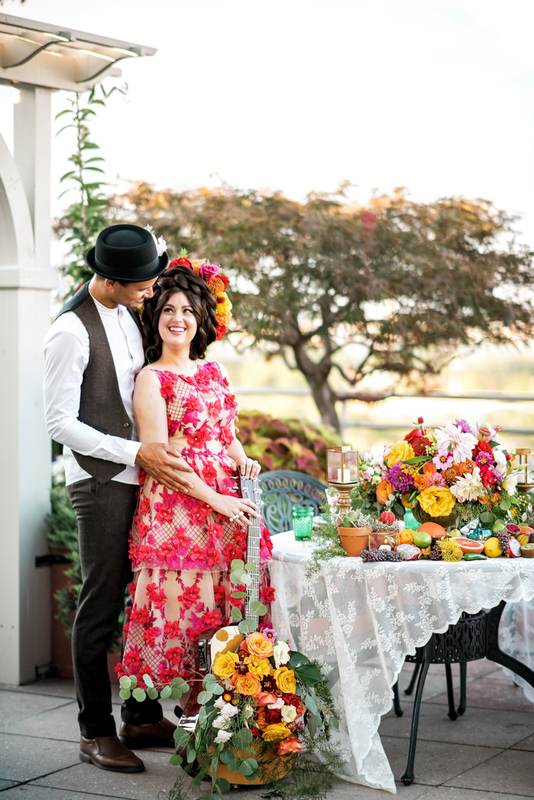 Color lovers rejoice, because my-oh-my do we have some inspiration for you! 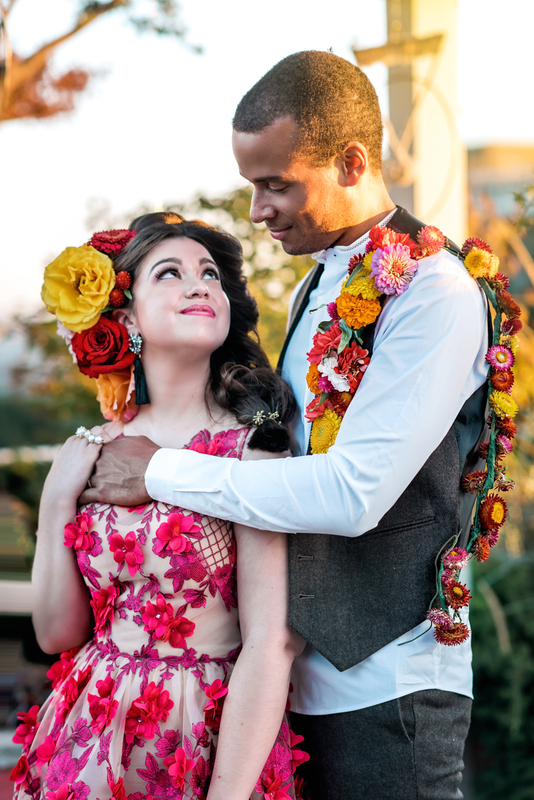 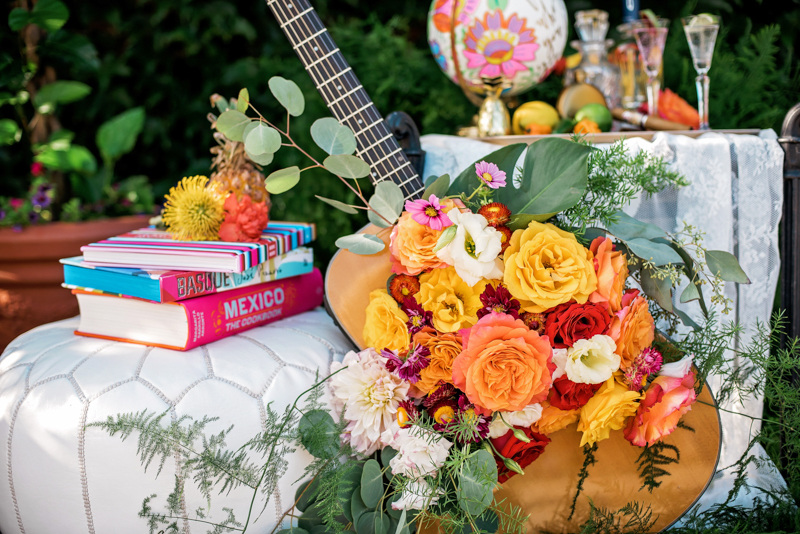 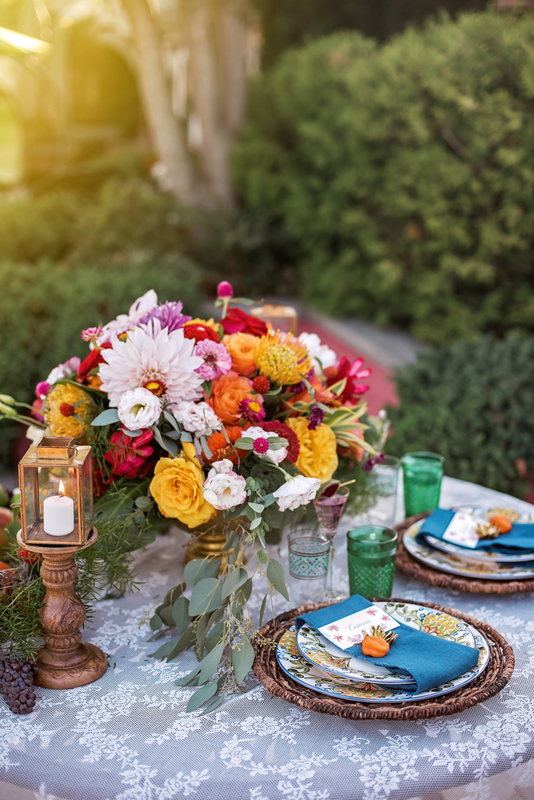 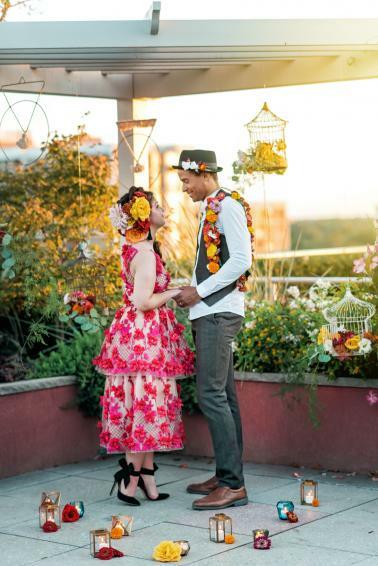 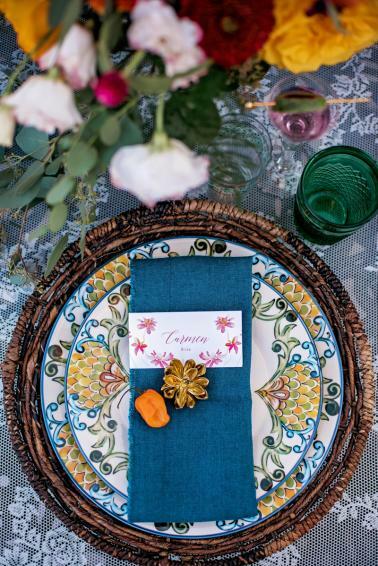 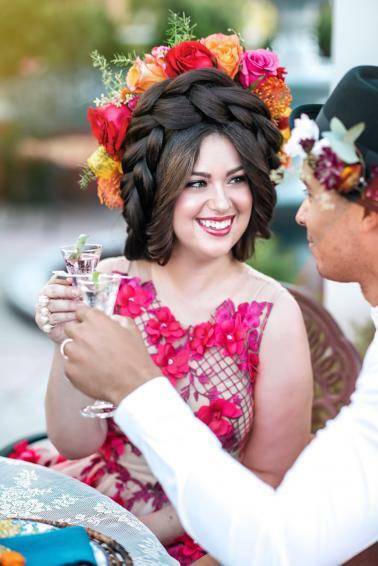 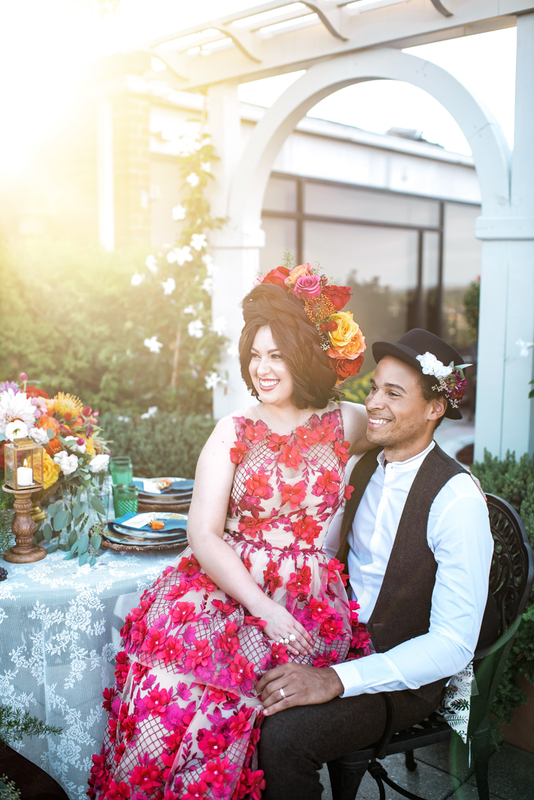 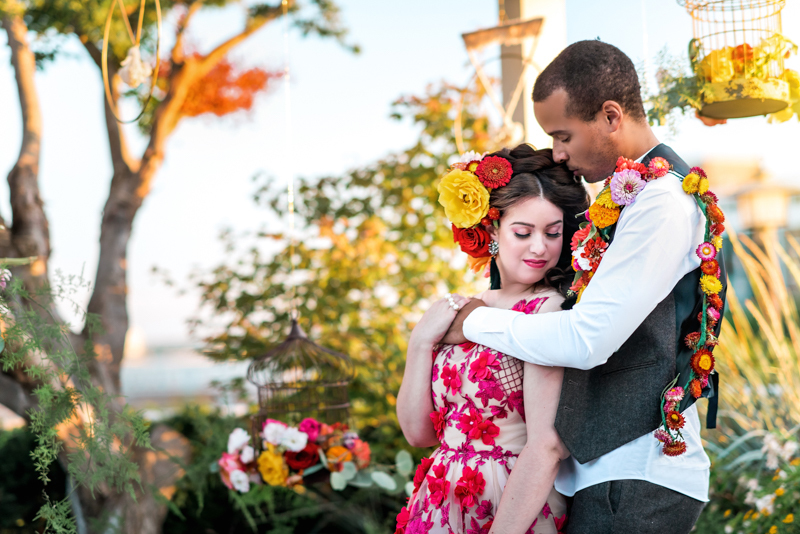 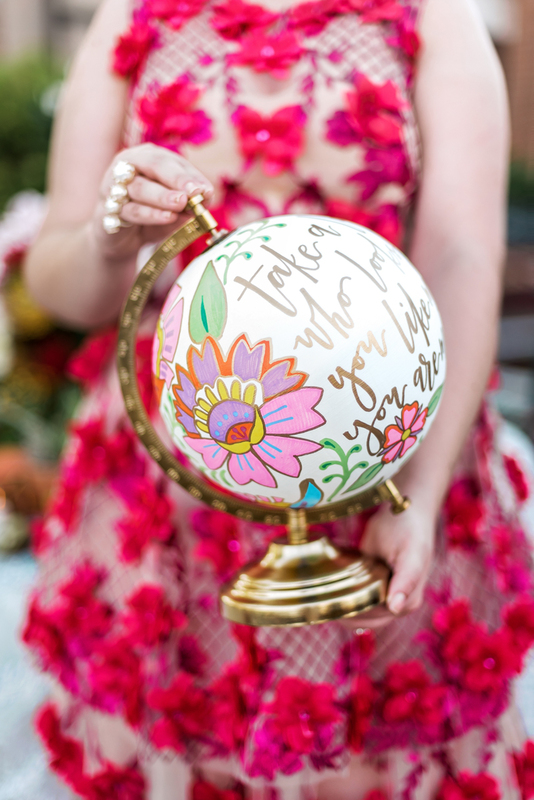 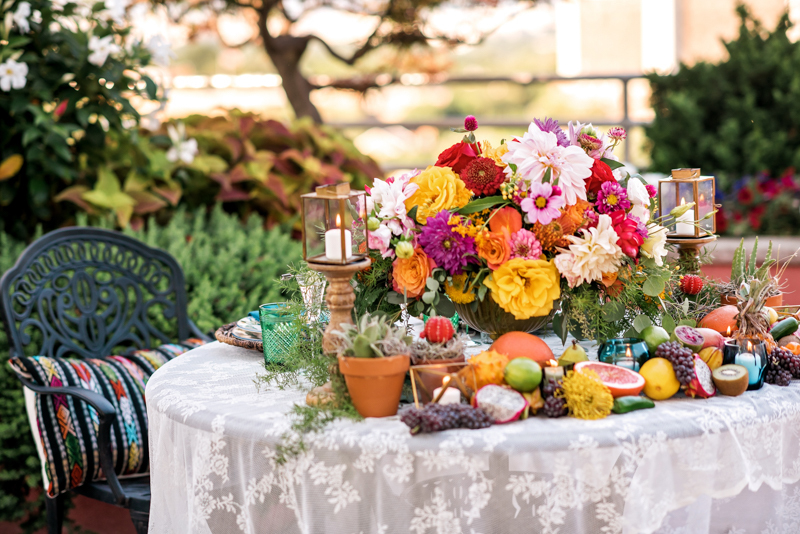 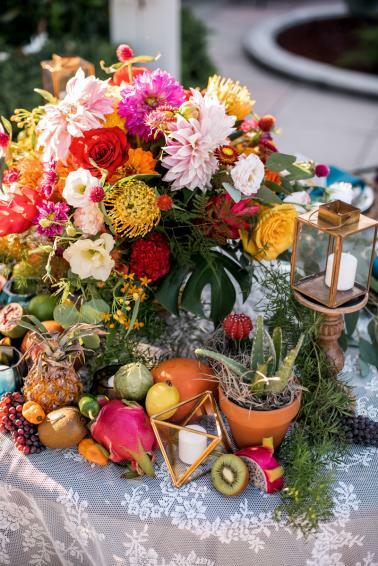 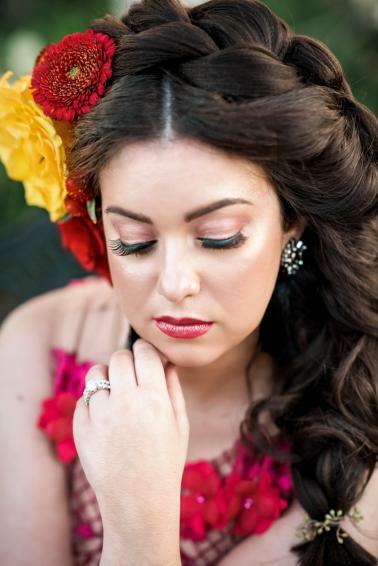 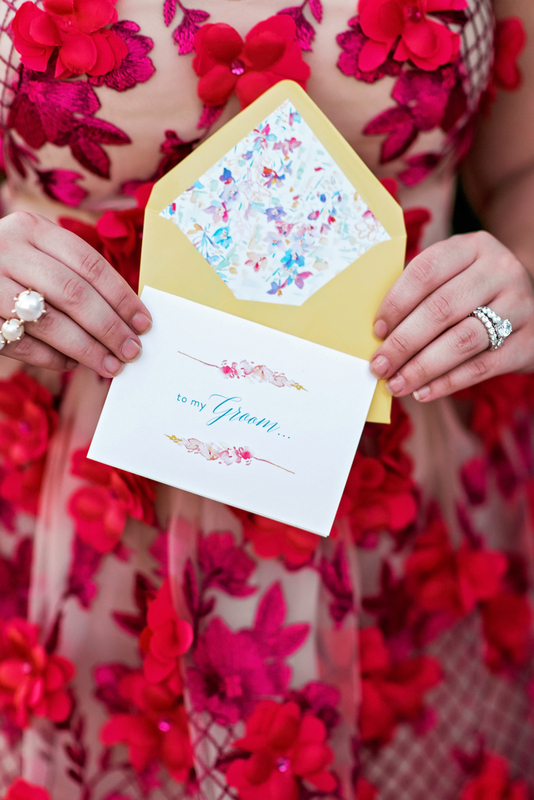 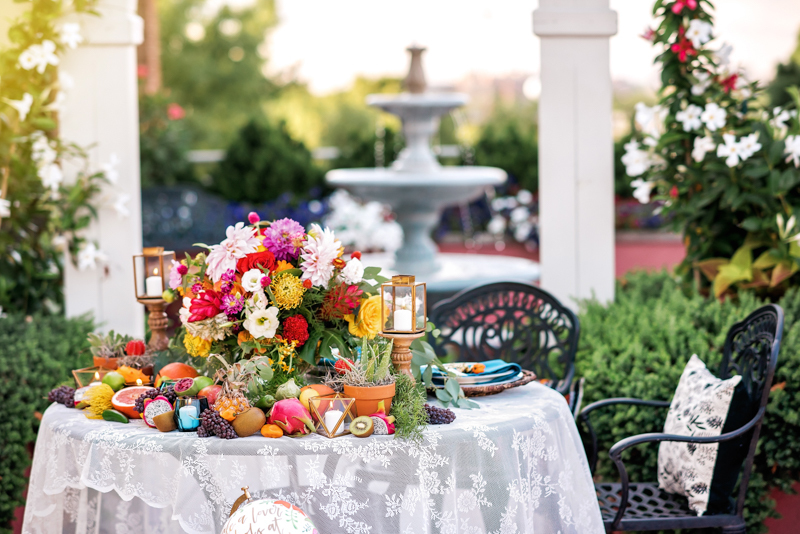 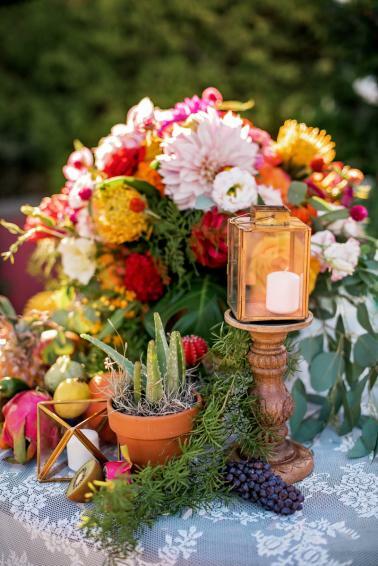 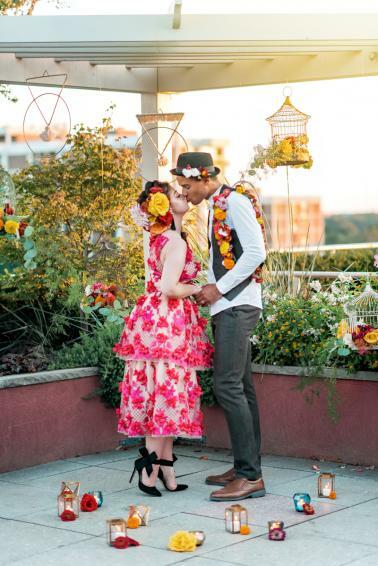 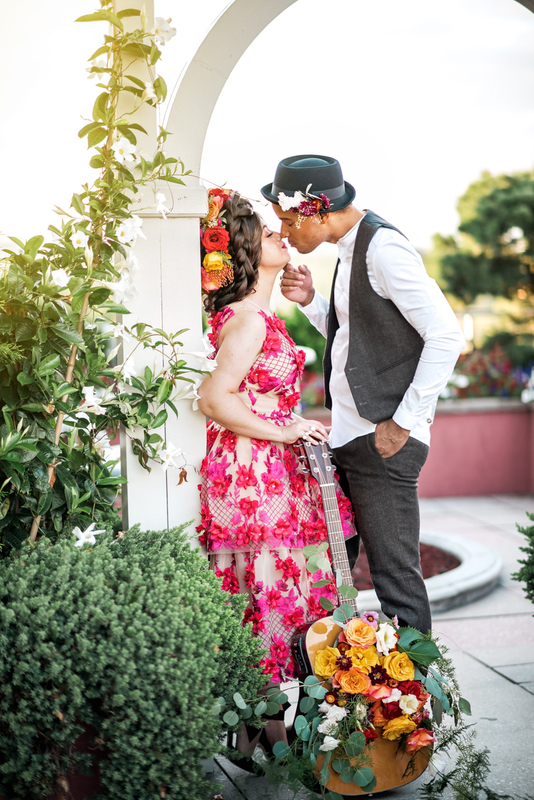 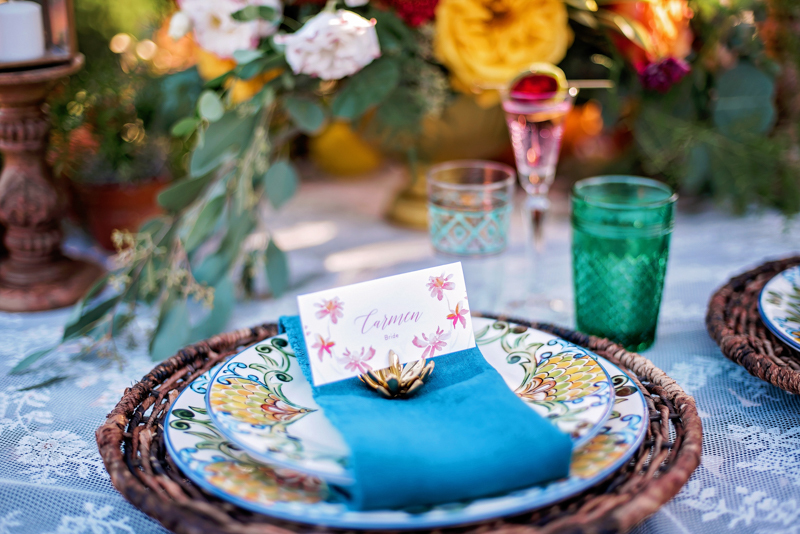 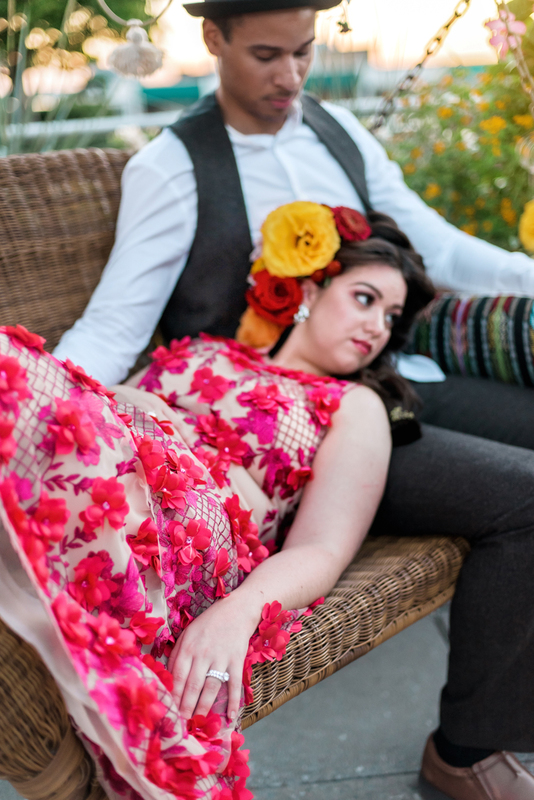 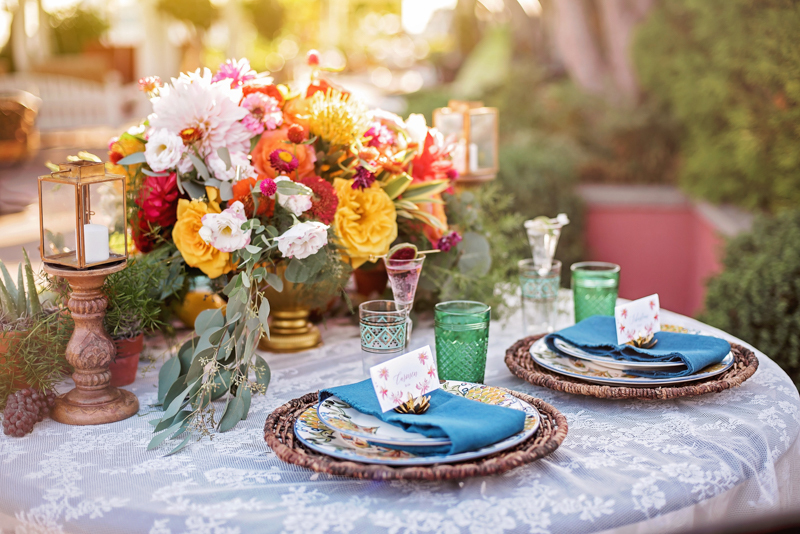 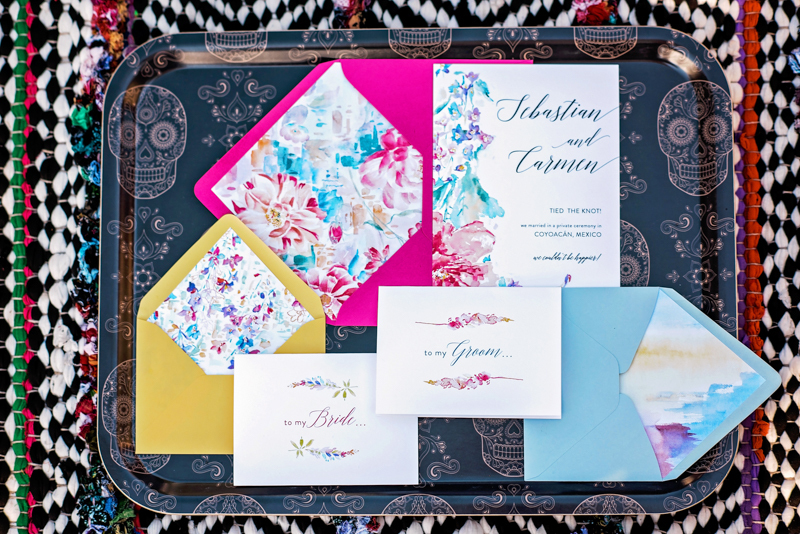 Inspired by Frida Kahlo and her art work, the fab Sincerely Pete Events has created a stunning design filled with fresh floral prints and vibrant hues. 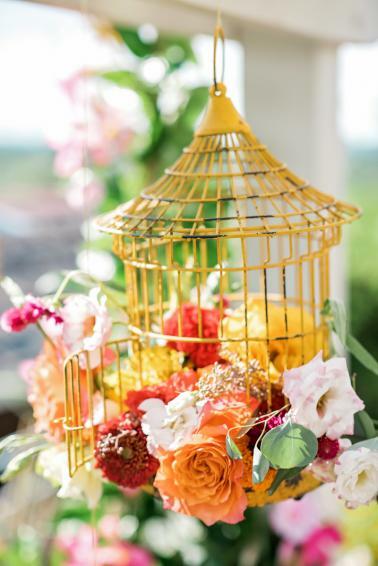 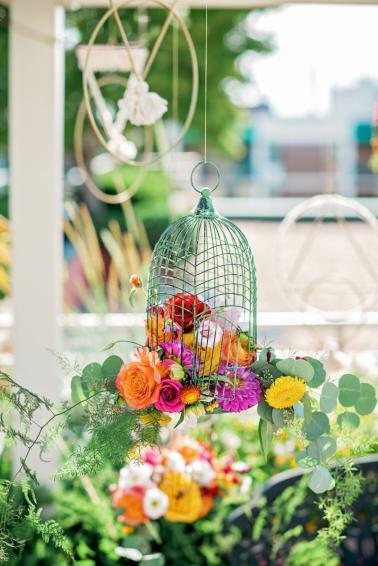 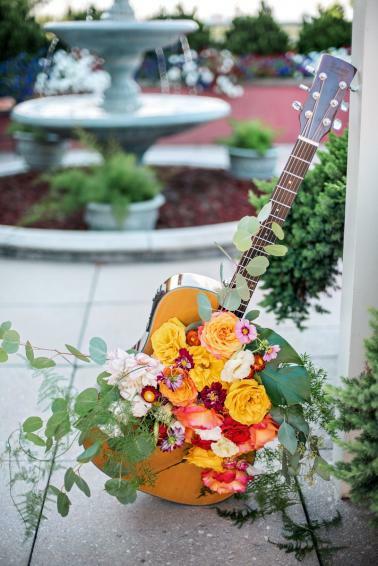 Colorful hanging birdcages and a guitar filled with flowers from Stem and Thistle are just one of the many elements we’re loving! 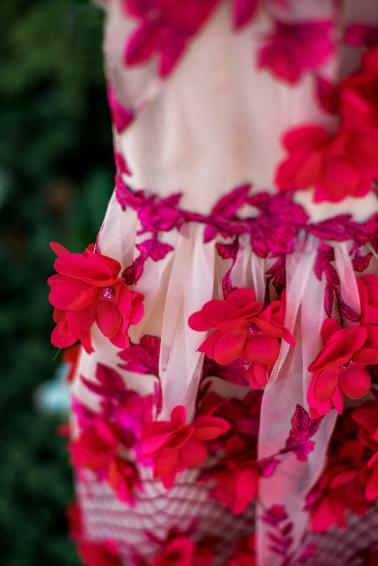 The bride’s bright red floral appliqué Marchesa gown is a jaw dropping statement piece, and the perfect inspiration for a bride looking for something totally unique. 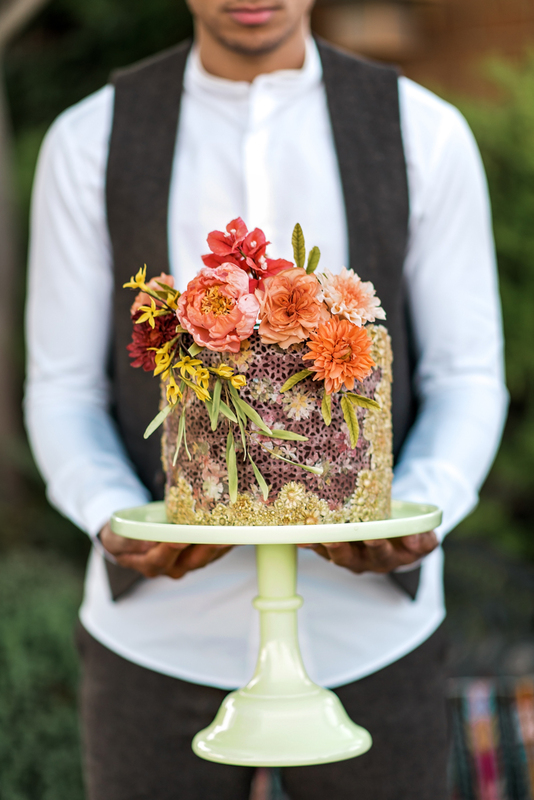 And speaking of statement pieces… the intricately designed floral print cake from Fleur and Flour is out of this world gorgeous! 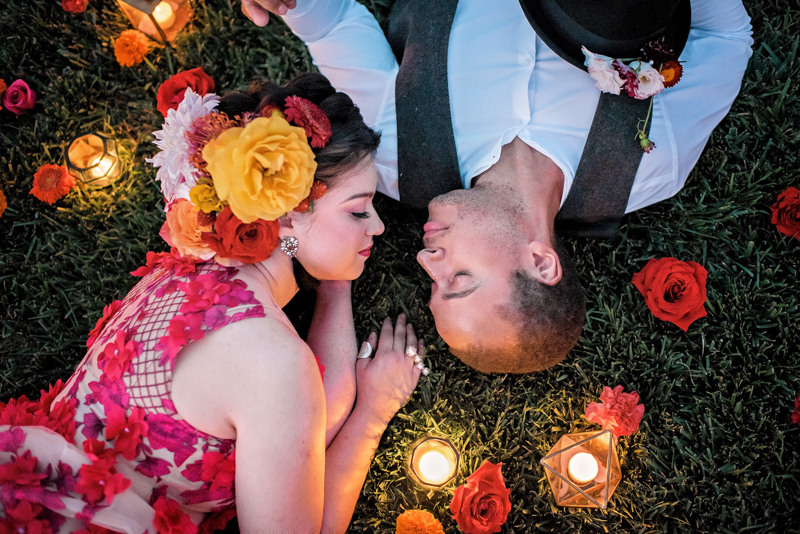 Get your pin button ready and keep scrolling to see all the beauty captured by 1001 Angles – we think you’re going to LOVE it! 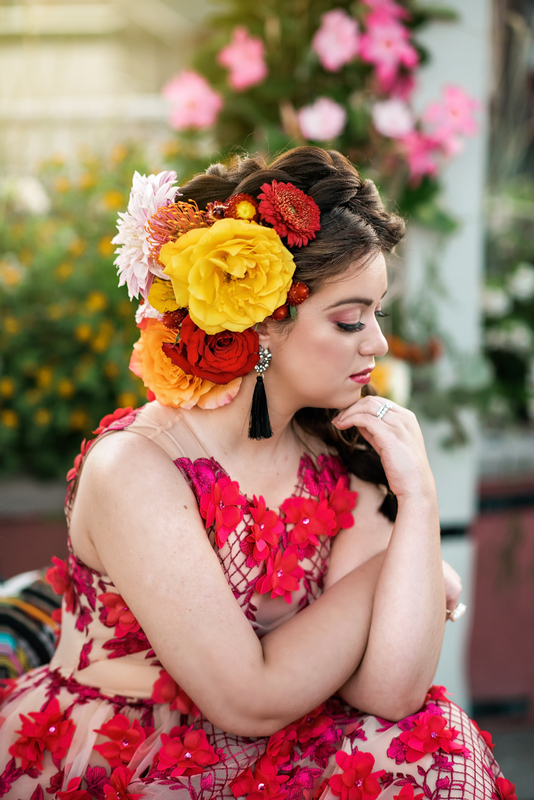 Frida Khalo inspires. 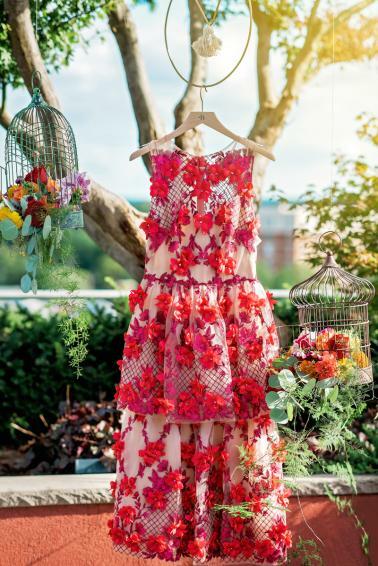 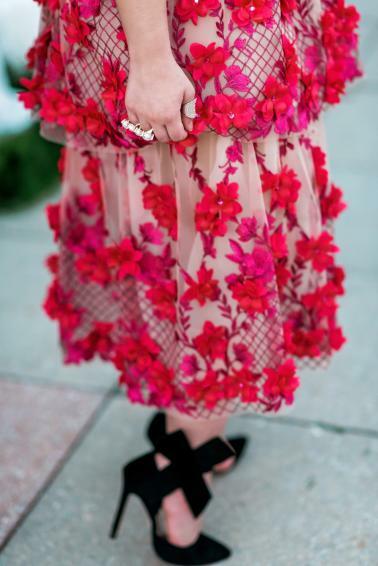 A woman who knew how to dress for effect, her instantly recognizable style, bright florals, vivid colors, and bold patterns set off sparks for creative minds. 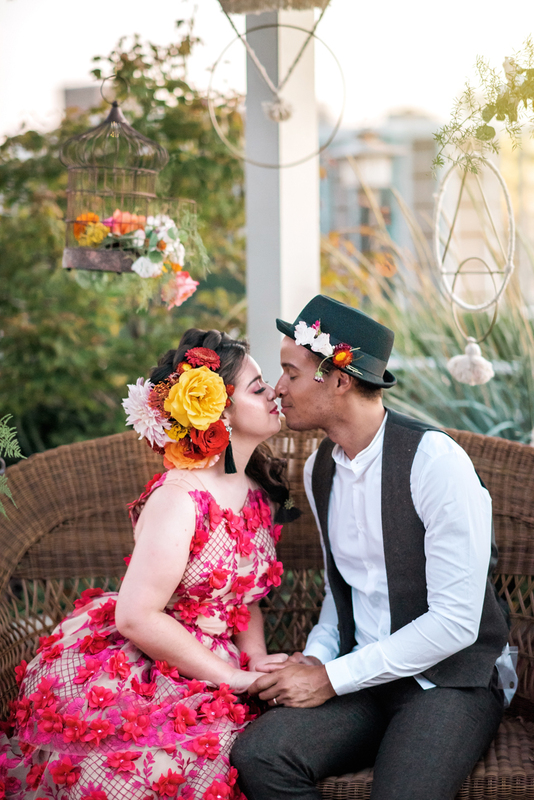 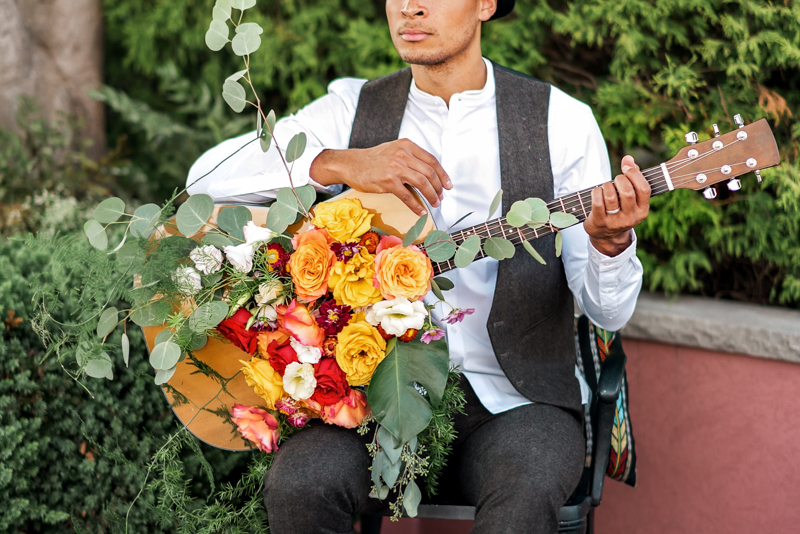 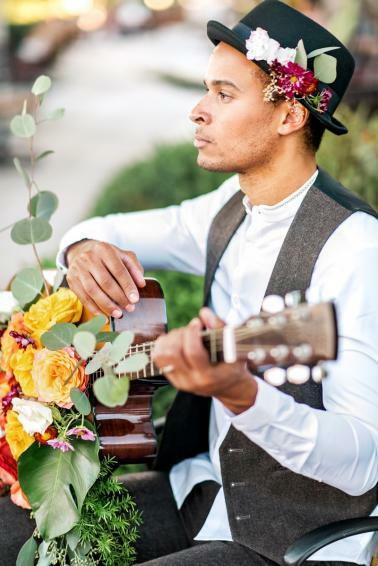 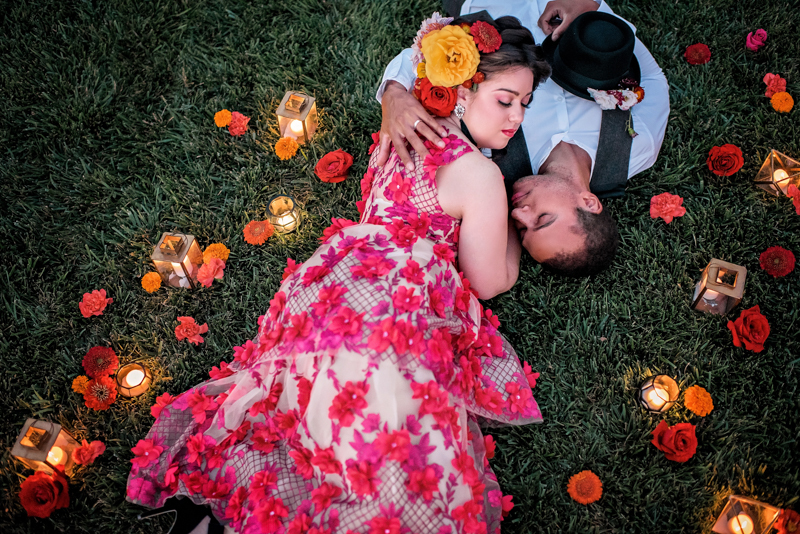 By embracing her artistic soul and wild fusion of femininity, romanticism, and power, with this shoot, we set out to create an elopement to inspire artistic couples who think a little bit outside the traditional realm of weddings and want to express their individuality. 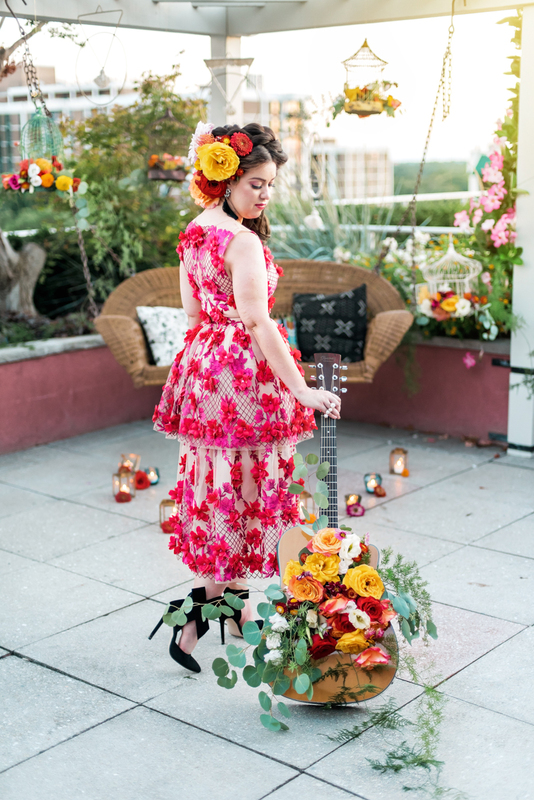 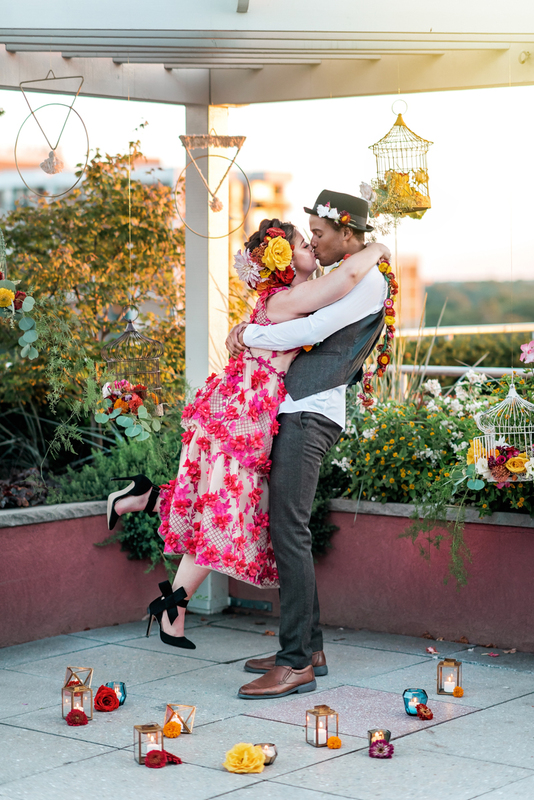 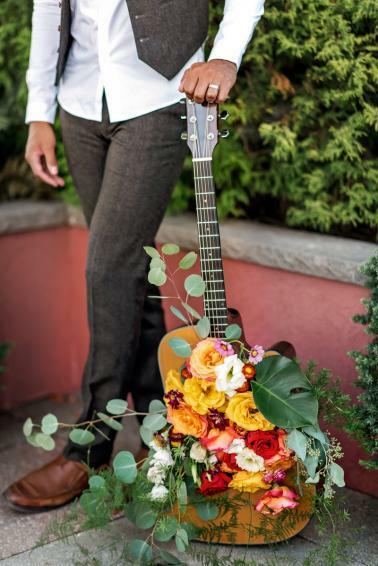 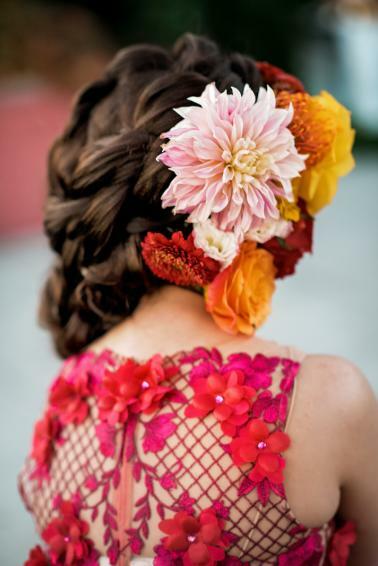 Our bride wears a bright red Marchesa Notte dress from BHLDN covered in organic blossoms and carries a guitar adorned with florals instead of a bouquet. 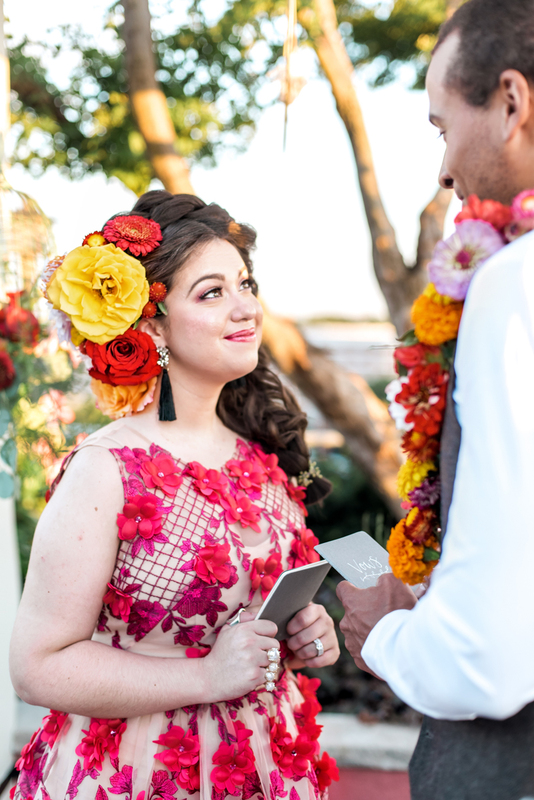 Her groom looks at her like she is maybe magic. 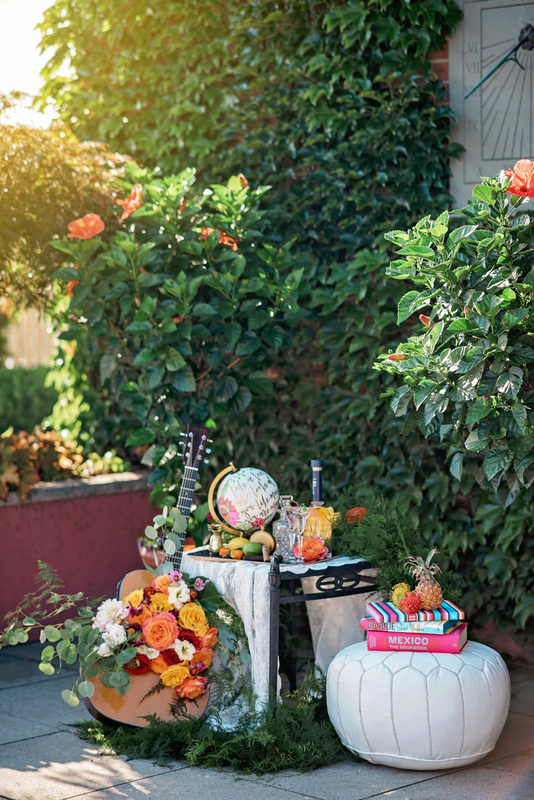 Everything around them is blossoming in whimsical artistic chaos. 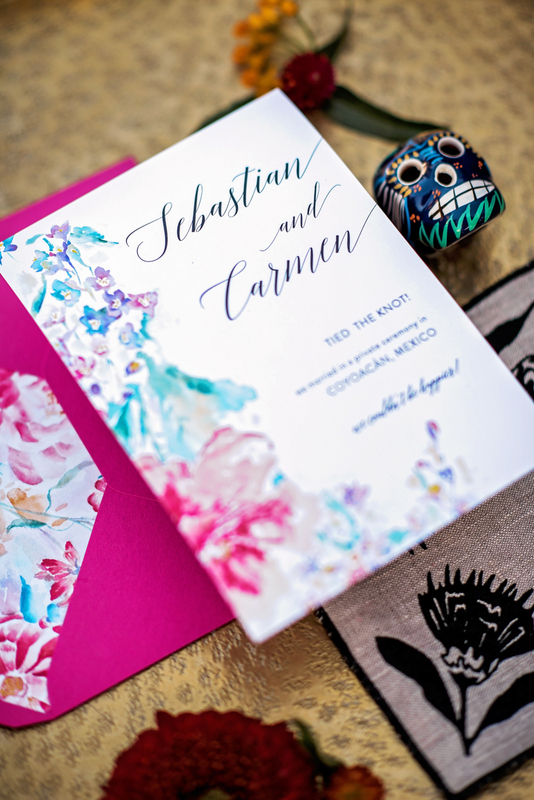 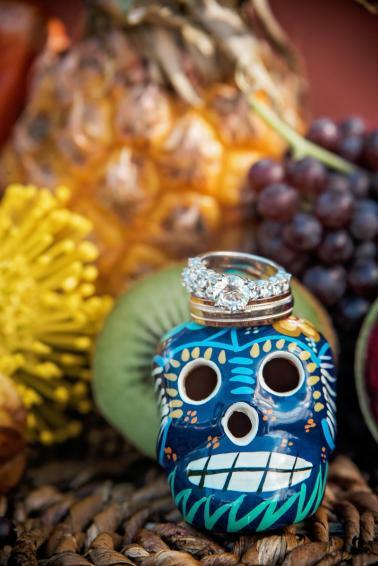 They say their vows at sunset in an intimate ceremony surrounded by a hanging garden of birdcages and mayan geometric sculptures. 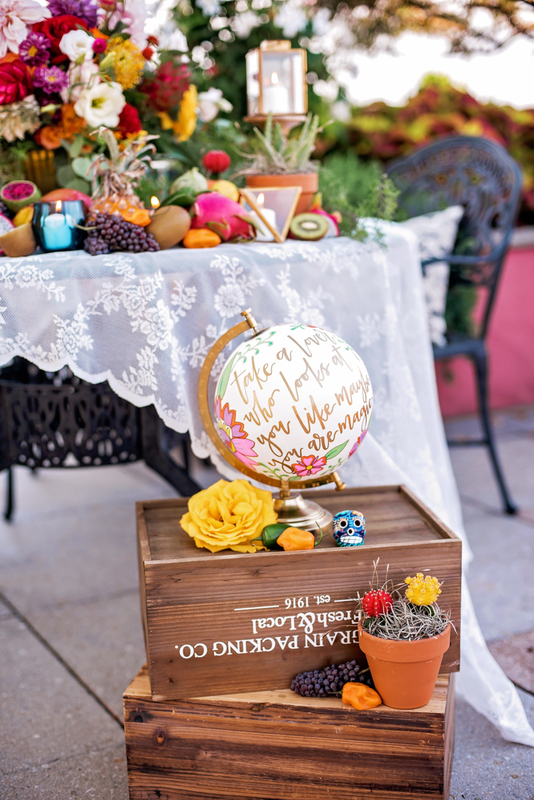 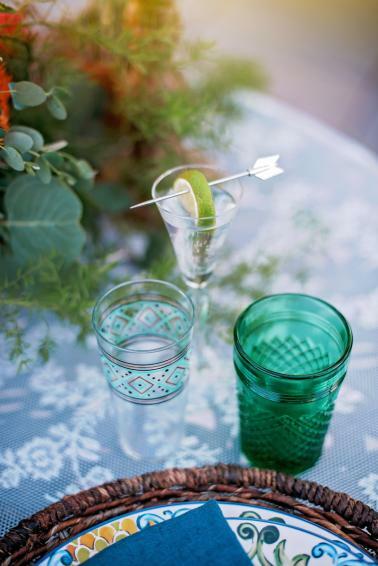 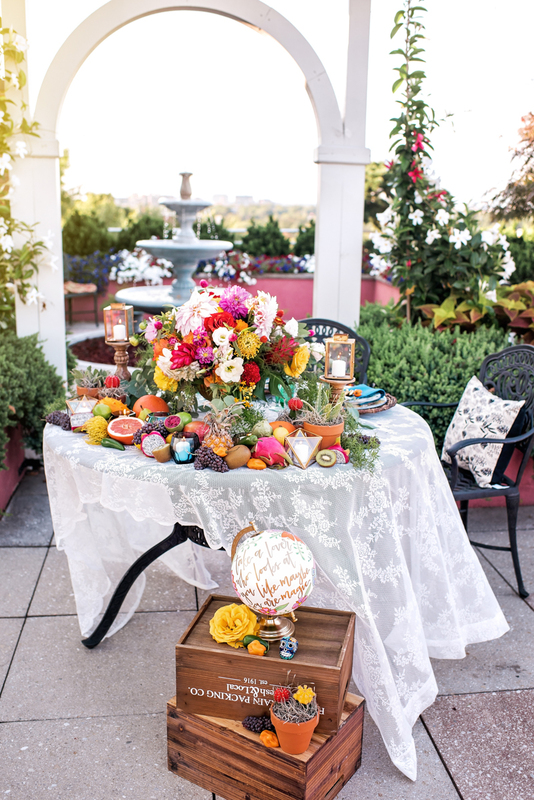 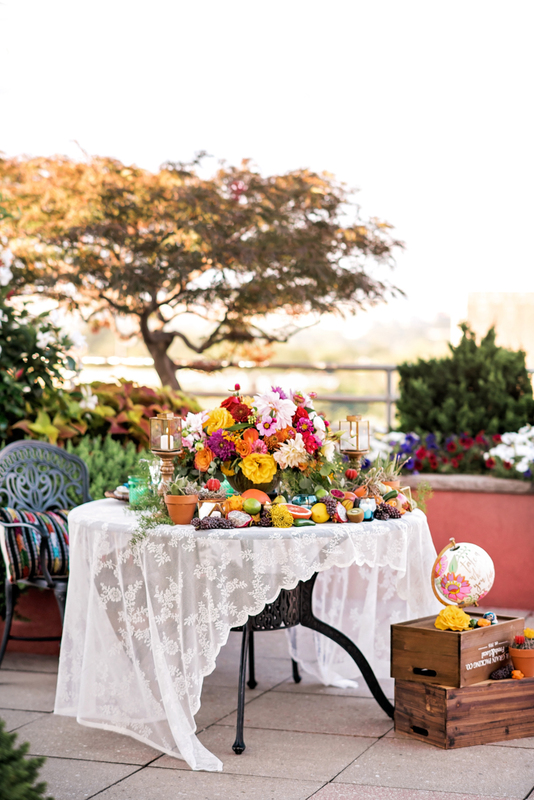 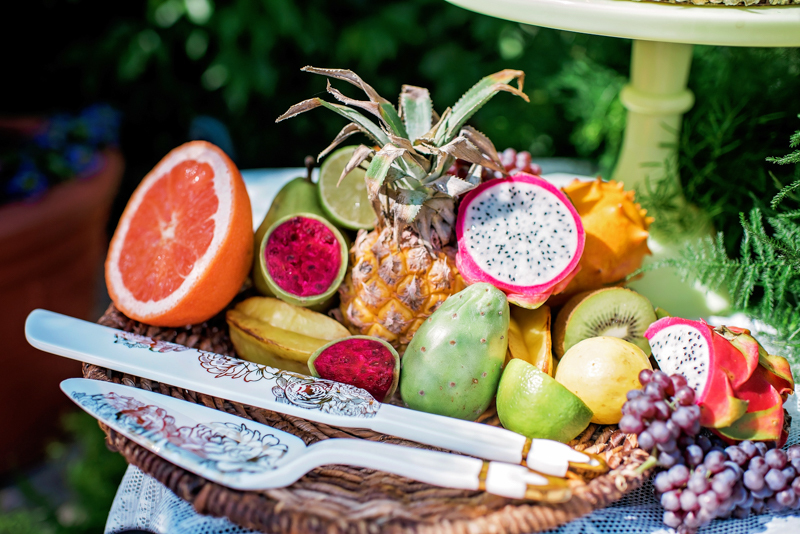 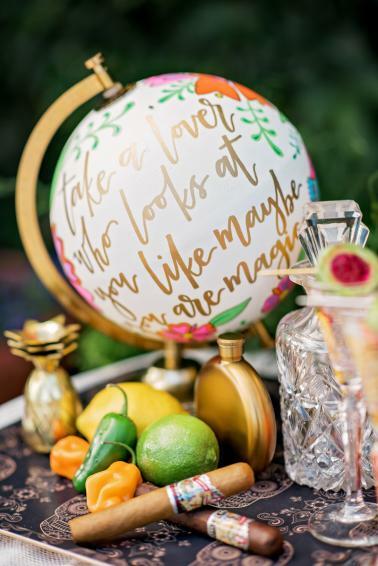 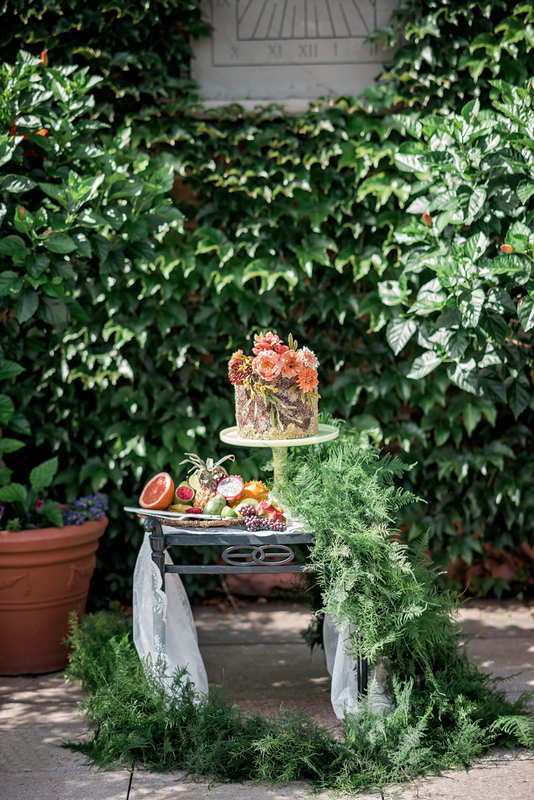 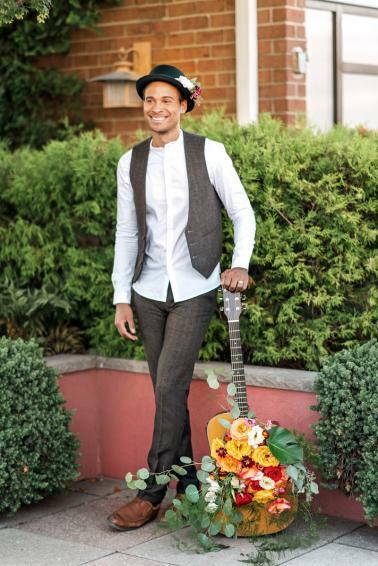 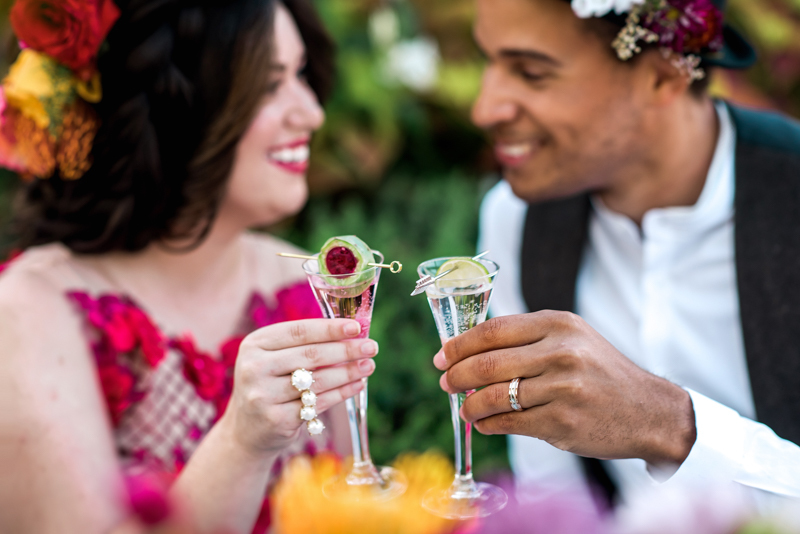 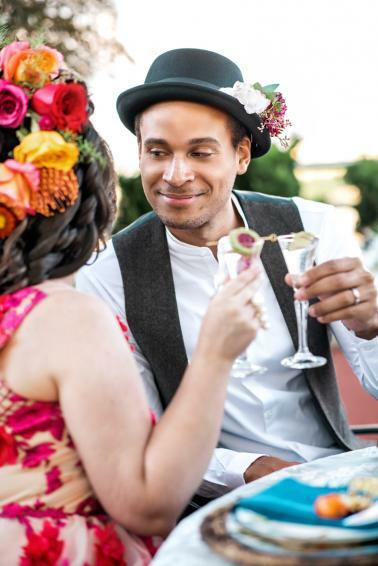 Celebrating their new union, they exchange flirty glances over a sweetheart table decorated in lace, piled with fruit and flowers and bohemian dinnerware. 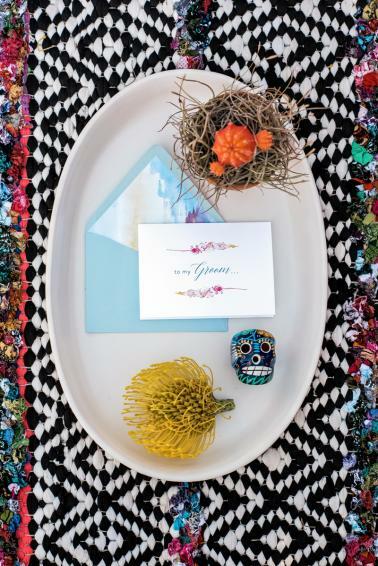 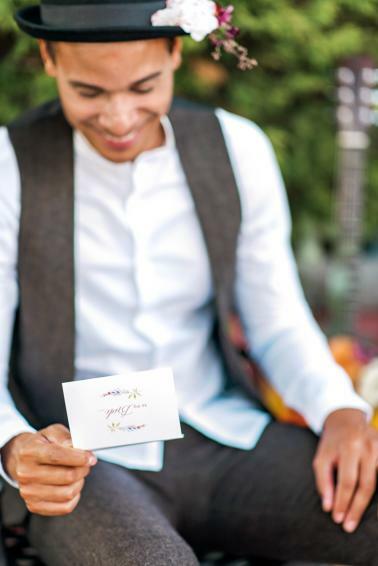 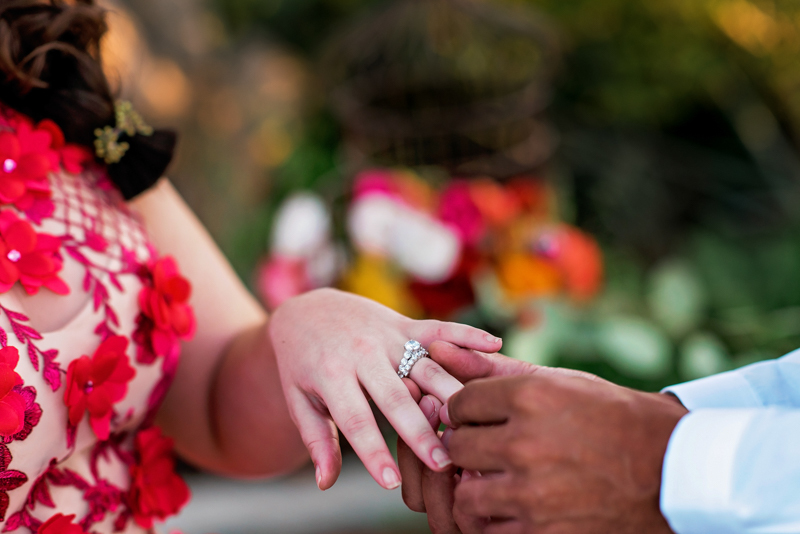 They exchange love notes written on custom-made stationary and indulge in tequila cocktails in a cozy bar. 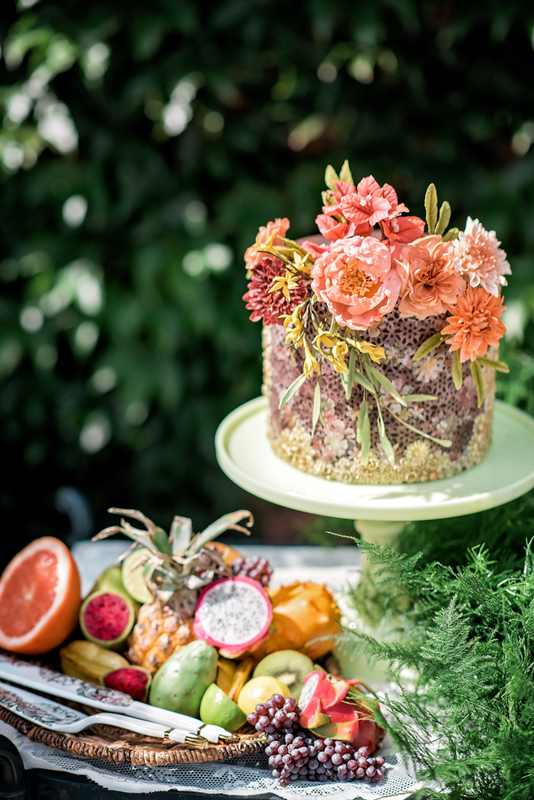 Their wedding cake is wearing a floral crown made of pure sugar. 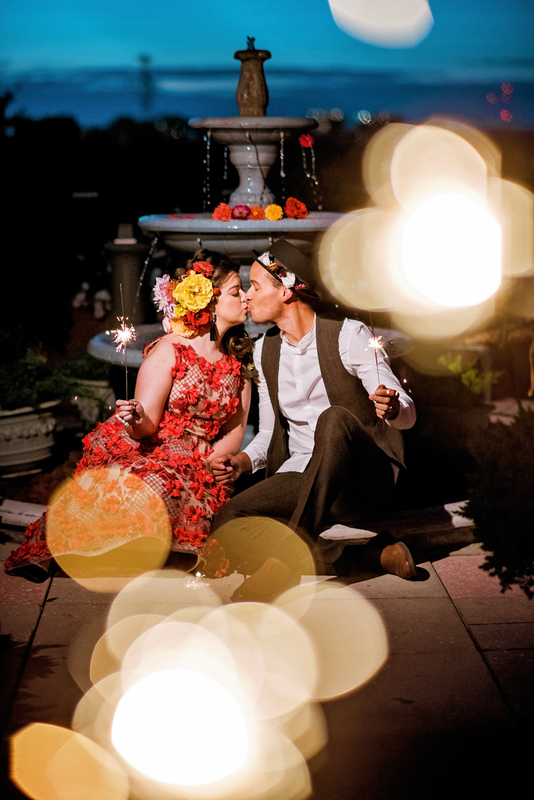 As they stroll around town, they exchange kisses in the light of sparklers by a fountain before they falling asleep in each others arms.